Add some instant class and comfort to your look with the SKECHERS Wave Lite - Refined Views shoe. 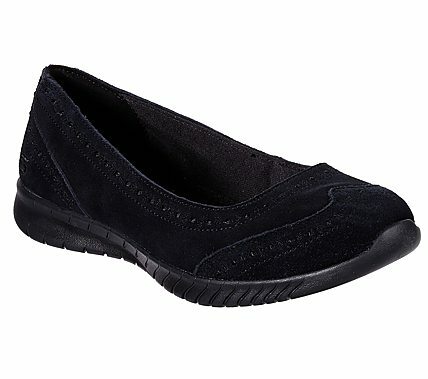 Soft suede upper in a slip on dress casual comfort ballet flat skimmer with stitching and overlay accents. Air Cooled Memory Foam insole.